Men's hairstyles can be versatile for sure and though most of ladies suppose that man should be with natural hair colors and short haircuts, we get surprised quite often recently by the crazy hairstyles men can adopt. In summer hairstyles for women some time ago we revealed a brand new trend of going bleached blonde. It was Taylor Swift to start the long row of barbie blonde celebrities. This is about women. Then it came o Justin Bieber, that was quite acceptable. Just a teen caprice. But what happened a day ago is a real sensation! Here it is just below! 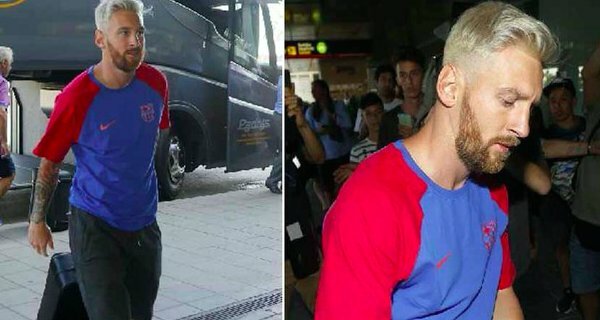 Lionel Messi- the world famous, the A-rank, the most highly paid footballer - has gone blonde. You don't believe your eyes, right? Neither do I! But here he is. 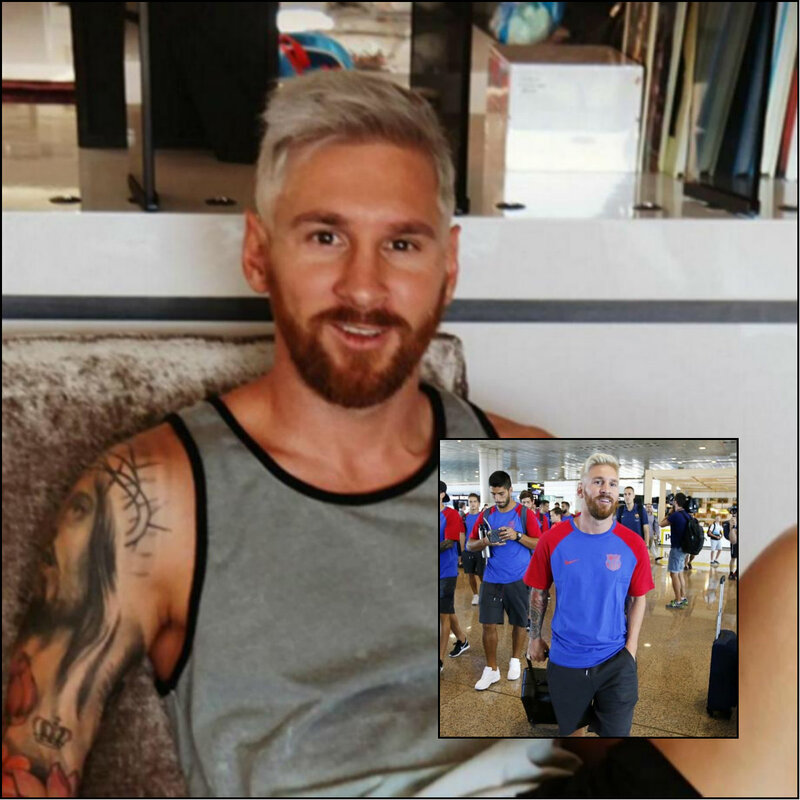 To get some more photos of Messi new look and hairstyle 2016 of blonde hair color with reddish beard, go ahead to scroll through this article. Just yesterday his wife revealed the photo that at once flew all around the world, being adored and criticized by fans and not-fans from each corner of the world. People poll for him to look like Justin Bieber or Daenerys Targaryen. This all seems to be a joke, really. 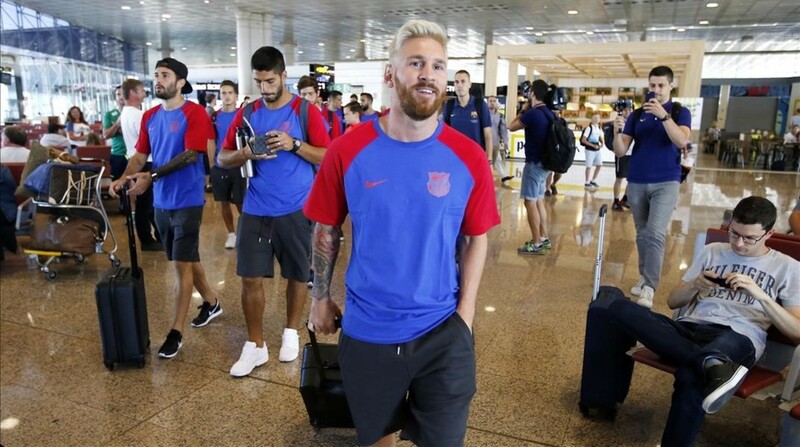 Right ow Barcelona team has already landed in England for a match with Celtic, and all the footballers seem to be with their simple short haircuts for men. 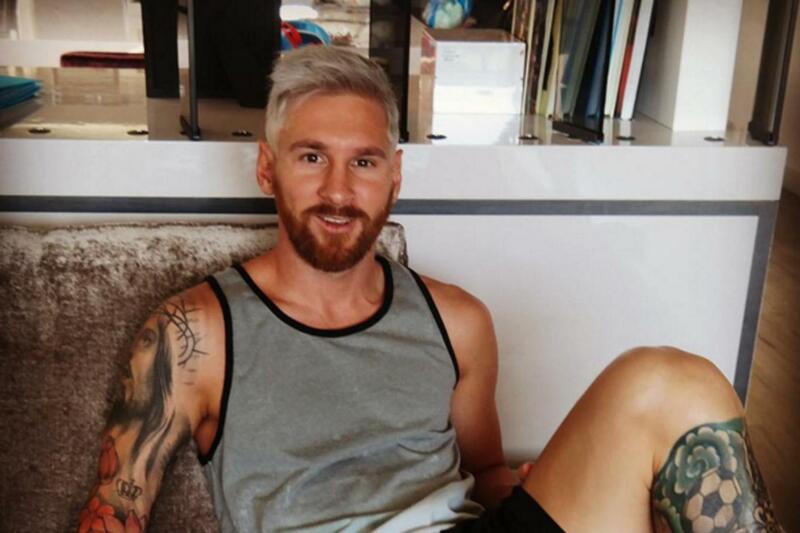 Perhaps the summer season is not the best one in Messi's career. 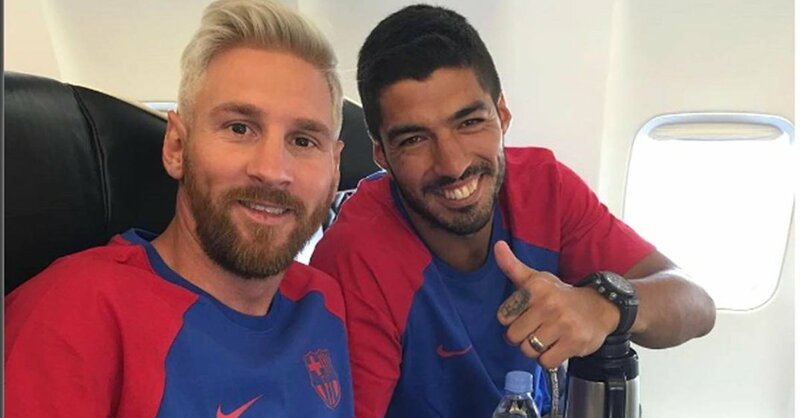 It was a big stress that Argentina fell out of the Latin cup 2016 and maybe with such a drastic change of the traditional men's hairstyles into the extra modern blonde undercut with a quiff will bring more confidence and success. Changes are always for good.